Our Legal Representation consists of instructing either a Solicitor or Barrister to Represent you in Court. We will furnish them with all the details of your case and in most cases they will meet you about 30 minutes before the hearing. They will have been fully briefed about your circumstances and will be fully prepared for the hearing. We have a network of professionals that operate throughout England and Wales. The Representative will know exactly what to say to the Lenders Representative and will try and resolve the matter before going into Court. If this is not possible your Representative will know exactly what to say to the Judge, how to address the Judge and will carefully but firmly present your case using the documents and the evidence that we prepare. 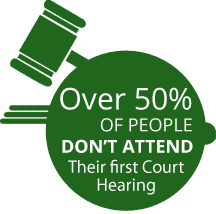 Mortgage Possession Hearings normally last for only 5 -10 minutes so once the Hearing starts it is a very quick exchange of facts from the Lenders Solicitor to the Judge, your Representative will respond to the Judge and answer the Judge’s questions. The questions must be answered quickly, accurately and supported by evidence. The Judge will then make his decision and make an Order. For most people in this situation it is essential to have a Court Representative especially if you have been to court before as the Lenders Representative will challenge what is said and this is where your Representative will debate the issues legally using points of law to remind the Judge that based on the Evidence, you should be given the opportunity to keep your home. Lender & Court Services Ltd are Licensed by the Bar Standards Board to instruct the Bar direct, on behalf of clients, for representation before the county court and court of appeal (Civil Division) in relation to mortgage repossession. All our Court Representatives are drawn from legal backgrounds and include Solicitors, Barristers, Legal Executives and Paralegals with either BVC, LPC Qualification or were previously employed in Solicitor Practices as fee earners. We do not use trainees or in-experienced personnel, and select carefully to maintain our name and our reputation. If we’d had to represent ourselves in court we wouldn’t have had a clue. Do you require Legal Representation?